Whitefish Point Lighthouse stands isolated at the foot of Lake Superior–miles from any large city. The lighthouse now houses the Great Lakes Shipwreck Museum (GLSM), and it remains the oldest continuously working lighthouse in the United States—operating for over 150 years! 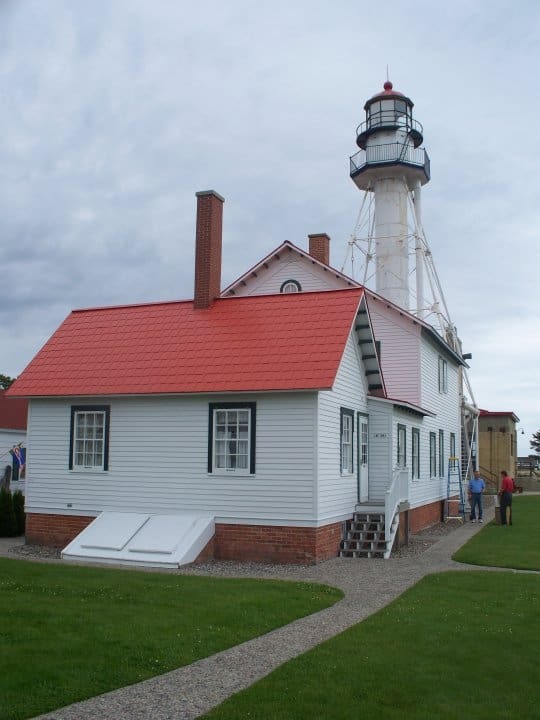 “People visit Whitefish Point and the Great Lakes Shipwreck Museum, including the lighthouse, the shipwreck exhibits (primarily the Edmund Fitzgerald exhibit), the beauty of Whitefish Point and the history of the Life Saving Service,” says Bruce Lynn, Operations Manager. Plans for a lighthouse at Whitefish Point developed in 1847 and the first lighthouse, built of stone, at the point lit up in 1849. Only about 20 years later, engineers redesigned the structure using iron and an improved support system so the light tower could endure the gale force winds, ice, and snow during the winter. The house and tower designed in the 1860s is what visitors see today. In 1923, the US Coast Guard (USCG) built a life saving station at Whitefish Point and continues to operate and maintain the lighthouse. In 1983, the Coast Guard and Great Lakes Shipwreck Historical Society teamed up to restore the grounds and opened it to the public in 1987. The GLSM continues restoring buildings allowing visitors to immerse themselves in the experience of living and working at the lighthouse. The restoration of the lightkeepers house the 1920s period remains a favorite of many visitors. Staying overnight in the USCG Quarters provides another way visitors can immerse in lighthouse living experience. Restoration of the light tower began a few years ago, and Lynn hopes to complete it this summer. Last summer, visitors could climb the light tower. The view was amazing and definitely worth the few extra bucks–after all the money paid to climb the tower goes directly toward the restoration of it. Lynn adds that the tower will remain accessible to visitors even after the restoration. Lynn notes two new exhibits will premier this season at the GLSM. The stories of these ships will surely add to the depth of knowledge in the museum, which covers Native American history of the area to early scuba diving and the wreck of the Edmund Fitzgerald. 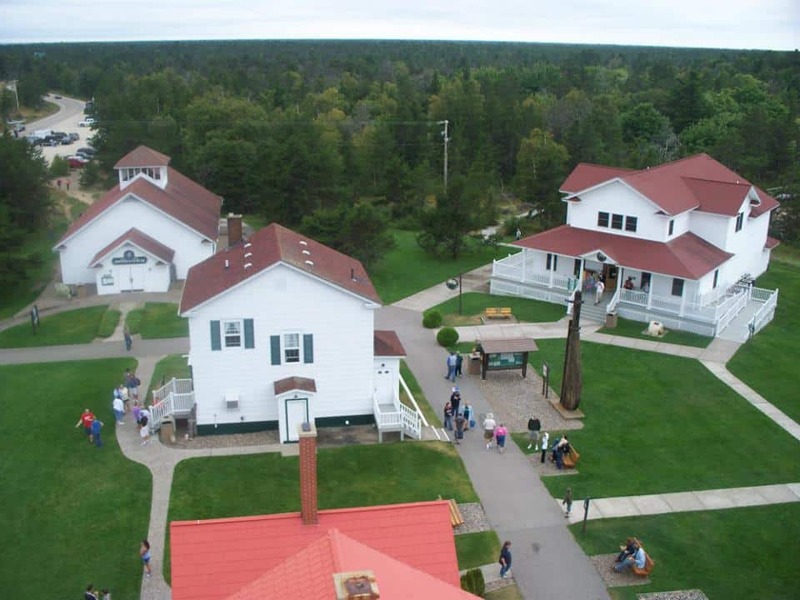 The Great Lakes Shipwreck Museum at Whitefish Point is open from May 1 – October 31 and admission, donation, and upcoming event information is available on their website. It’s easy to spend an entire day at Whitefish Point whether you explore the museum, search for agates on the beach, or just watch the freighters go by. Just be careful though—even in the middle of July, Lake Superior’s water is ice cold! Check out the Great Lakes Shipwreck Museum Facebook page, here.